Cloudy early with peeks of sunshine expected late. High 49F. Winds WNW at 15 to 25 mph. Higher wind gusts possible..
HELENA — This year, nine Native Americans will serve in Montana's Legislature, an increase over last year, though members of the American Indian Caucus are concerned about how they will work with a state government that is more dominated by Republicans. American Indians make up 7.4 percent of Montanans but have historically been under-represented in the Legislature. In the 2015 session, there were eight American Indian legislators — three in the Senate and five in the House — for 5.3 percent of the 150 members. This year it will be 6 percent. The most it's been since 1989, when the state started tracking, was 10 members in 2007. The Native caucus is critical to addressing issues that affect the people, families, and communities on Montana's seven reservations and the Little Shell tribe, said Amanda Frickle, executive director of the Montana Democratic Legislative Campaign Committee. "They bring really important legislative priorities to the table that might otherwise be overlooked. It's an important part of a representative democracy." Frickle said having people in the Legislature who understand and see what happens daily in Indian Country ensures the body takes up issues that disproportionately affect reservations — like a lack of access to health care and high suicide rates. But she expressed concern over the caucus's ability this year to work with Republicans, who she says often don't support Native issues, citing a failed bill from 2015 that would have directed money to a program that works to improve poorly performing schools. 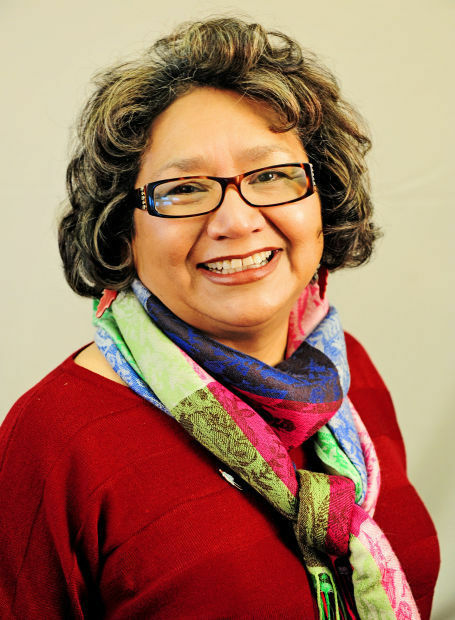 Going into Election Day, Natives were guaranteed at least eight seats in 2017, including holdover state Sen. Lea Whitford, D-Browning. In the House, incumbent Native Democrat George Kipp III ran unopposed in House District 15. The same is true for Native Democrat incumbent Susan Webber of Browning in HD 16, Jonathan Windy Boy of Box Elder in HD 32, incumbent Rae Peppers of Lame Deer in HD 41, and Sharon Stewart Peregoy of Crow Agency in HD 42. Native Republican Jason Small of Busby won Senate District 21, which was a contest between two Native candidates, the other being Democrat Carolyn Pease-Lopez. In Senate District 16, Native Democrat Frank Smith of Poplar beat Native Republican G. Bruce Meyers of Box Elder who had been the state representative for House District 32 last session. Native Democrat Shane Morigeau of Missoula won against non-Native Republican Cyndi Kenck of Frenchtown in House District 95. Democrats had hoped for 11 representatives, but Native Democrat Joey Jayne lost his primary in Senate District 47, and on Tuesday in House District 25, Native Democrat Garrett Lankford, a member of the Little Shell Tribe, lost against non-Native Republican Jeremy Trebas of Great Falls. Republicans had a net gain of two seats in the Legislature and hold all statewide elected offices except the governorship. Native communities often support Democratic candidates, though there are exceptions such as Small and Meyers. Webber said the Native caucus has always faced an uphill battle. "We've been literally and figuratively the minority's minority," Webber said. "I know it looks like we have a lot of people in the Indian caucus, a lot of people were elected, but in reality it should be more. But just us getting in there, from my perspective, is a real positive." Native legislators often carry bills that represent other groups of society that struggle, such as the poor or disabled, Webber said. "What effects the Indians, we look at it also effecting those other groups within the larger population." She said Republicans can get into the mentality of viewing the state's Indians as what she calls "fort Indians." "Indians a long time ago, they were at the gate of the fort asking for food. For the food that was supposed to have come to us with our treaties but was squandered or sold off. We couldn't go out and hunt anymore, so we became fort Indians. That's what we're seeing. It's a stereotype, but we're getting better." Last session was dominated by Medicaid expansion and the Confederated Salish and Kootenai Tribes' water compact, Webber said. She hopes this year to take up issues of economic development. "I see that we are people who want to pick themselves up," Webber said. "So many people here have so many ideas, and the reservations are just gold mines for business if we actually had the opportunity and the capital." During her freshman session in 2015, Webber said she felt the division between the other Legislators. "As an Indian in the Legislature, you stand out. You're a different color, and that really plays a part in it." She said racial tensions played a much larger role than she expected. "We're educated; we've paid our dues. We're survivors," Webber said. She added that she expects to see the same thing this session. Jeff Essmann, the chairman of the Montana Republican Party and state representative from Billings, said his party will work with the Native caucus and that the Republican platform offers many things Indian Country wants. "I do not think the Native American caucus is in the sole possession of the Montana Democratic Party," Essmann said. In 2011, the Republican party had four representatives in the Native caucus, last session had Rep. G. Bruce Meyers of Box Elder, and this session will have the newly-elected Small. "I believe that our pro-growth policies are in the best interest of all Montanans, including our Native populations," added Essmann. At the Republican party's winter meeting, the vice chairman of the Crow tribe at the time spoke, as did Carlyle Begay, a former state senator from Arizona. Begay in 2015 switched parties from Democrat to Republican because he felt the GOP platform better aligned with the needs he saw among his state's Native population. Essmann said the same is true in Montana, that his party's policies are the best way to help Natives out of poverty. He said, "The best way out of poverty is steady income. A good paycheck brings self esteem, the ability to make choices and not be stuck with a poorly managed, federally controlled health service." He said Republicans are best suited to address the economic concerns like those of Webber. "Why would you want to continue to be dependent on a federal government that has done nothing but mismanage your assets for 100 years or more and a poorly managed, federally run health care system when you could be independent and make your own choices and have your own life?"